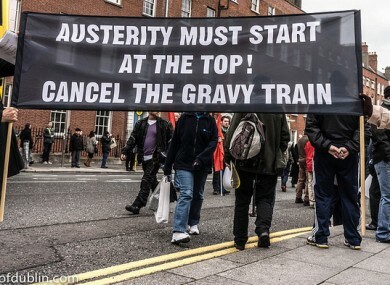 Poll: Should the government ease up on austerity in this budget? The Labour Party wants to see just €2 billion in cuts in the next budget but economists have said we must stick to the plan. What do you think? MINISTERS ARE PREPARING for battle as the time for making decisions on cuts in the next budget approaches and junior minister Kathleen Lynch told TheJournal.ie that Labour wants just €2 billion worth of cuts rather than the proposed €3.1 billion. Some economists have suggested that another harsh budget could make economic matters worse but others have warned that Ireland must stick to the plan if we are to successfully exit the bailout programme later this year. We want to know: Do you think the government should ease up on austerity in this budget? Email “Poll: Should the government ease up on austerity in this budget?”. Feedback on “Poll: Should the government ease up on austerity in this budget?”.